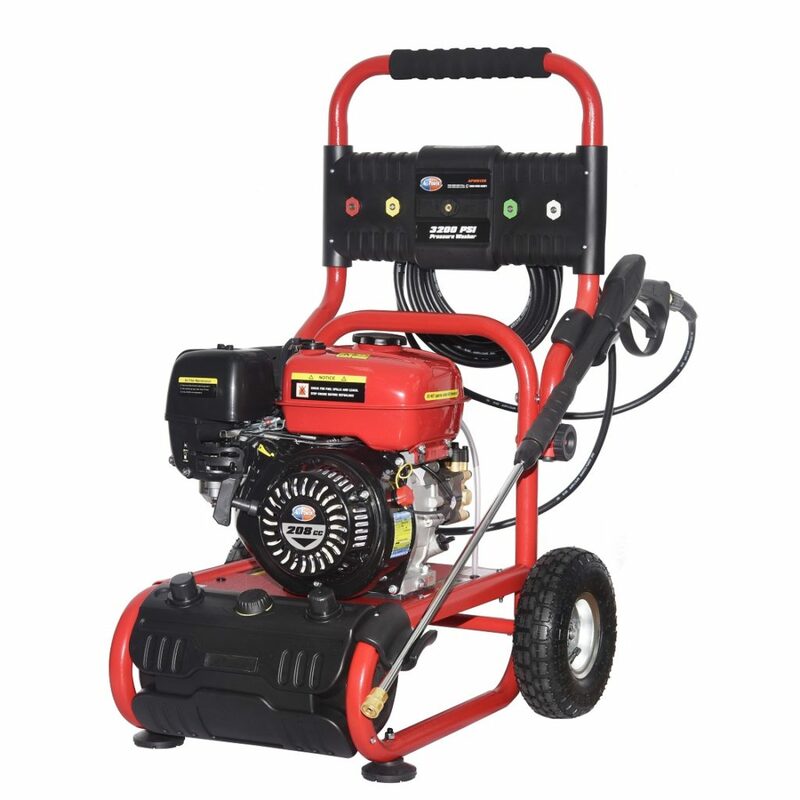 This All Power gas pressure washer provides 3200 PSI, and 2.6 gallons per minute. It’s powered by a 208cc OHV motor, and is great for washing your vehicle, garage, and more. It has an easily adjustable spray nozzle – fine to intense. It also includes a 30 foot GFCI power cord, 5 quick connect nozzels that connect to a stainless steel wand, brass hose connector, and built-in hose reel. Pressure washing is a growing practice of cleaning using high pressure water spraying achieved by specially designed pumps. There are several uses for pressure washers on the job site. Whether it is a safety precaution to keep your work area and equipment clean while on the job or you need a quick clean up after all of the dirty work has been done, a pressure washer can help. As cleaning can be the main purpose in some jobs, pressure washers can come in handy from cleaning a fleet of work trucks, to construction sites, removing tar on roofing jobs or stains on finished work sites. Commercial jobs have a growing need for quick and easy cleaning. Pressure washers are great for a variety of projects around the home. They will not only provide you with enough power to get rid of all those stubborn stains and other eyesores, but it will also do the job in only a fraction of the time it would take you to do it manually. Pressure washers clean a variety of surfaces such as wood, metal, brick and concrete. 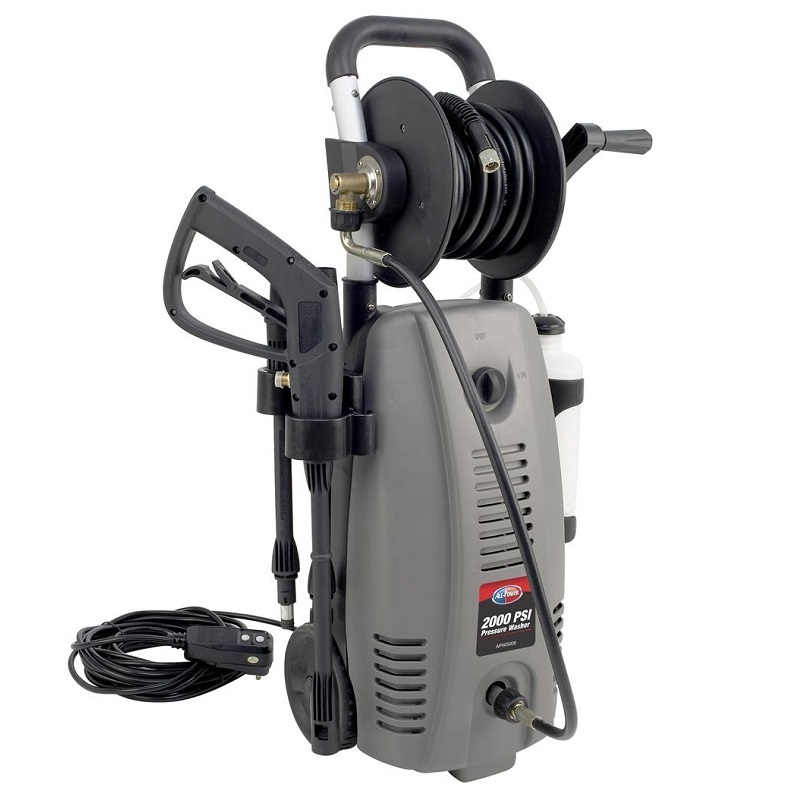 If keeping your possessions looking in top condition, you can use these pressure washers for cleaning your grills, cars, driveways and even the siding on your home. With the proper amount of pressure, they can handle all of your grit and grime. 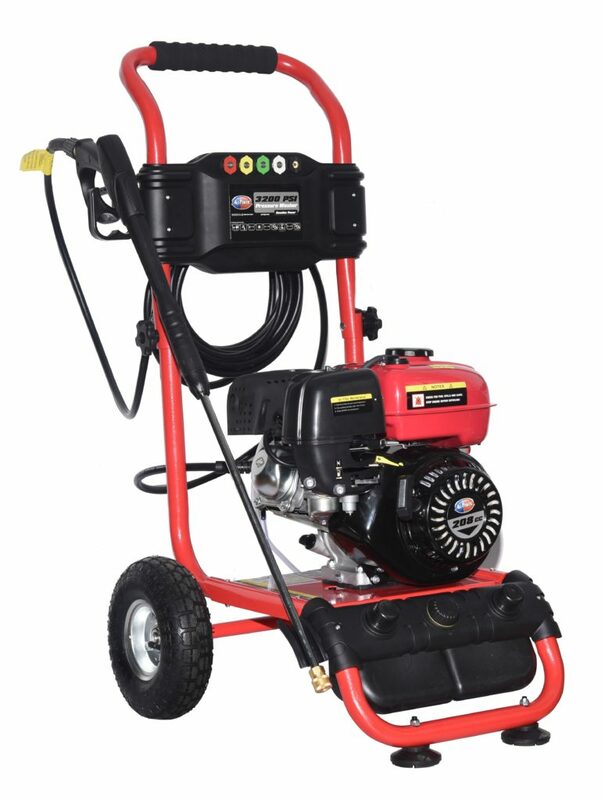 This All-Power 2400 PSI, Gas Powered Pressure Washer is powered by a 163cc OHV 4 Stroke Engine. The 4-quick connect spray nozzles allow you to adjust the shape spray for a variety of jobs. With a durable stainless steel hose and easy grip gun, this Pressure Washer can handle all of your outdoor cleaning needs. 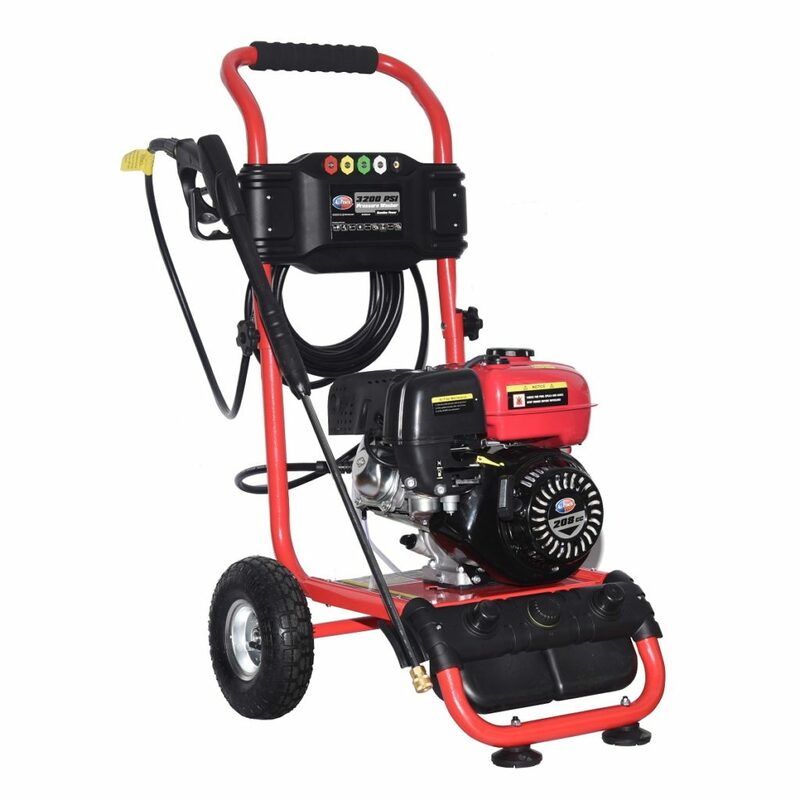 This All Power gas powered pressure washer provides 3200 PSI, and 2.6 gallons per minute. It’s powered by a 208cc OHV motor, and is great for washing your vehicle, garage, and more. It has an easily adjustable spray nozzle – fine to intense. It also includes a 30 foot GFCI power cord, 5 quick connect nozzels that connect to a stainless steel wand, brass hose connector, and built-in hose reel. 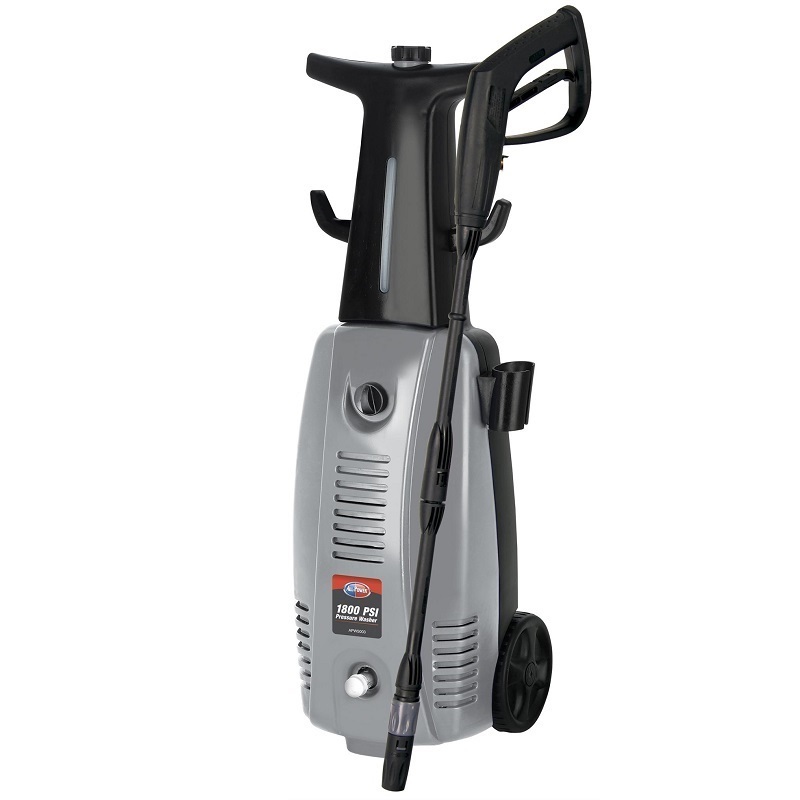 This All Power electric pressure washer provides 1800 max PSI, and 1.6 gallons per minute. Powered by a 13 amp electric motor, this pressure washer is great for washing your vehicle, garage and more. It has an easily adjustable spray nozzle – fine to intense and dispensed soap automatically. It also includes a 35 foot GFCI power cord, and brass hose connector. The All Power 1600 PSI Electric Pressure Washer is a light duty, economical pressure washer. It features a 12-amp motor, 35-foot cord, wheels, and included soap dispenser. It washes at 1,600-psi with 1.6 gallons of water per minute. 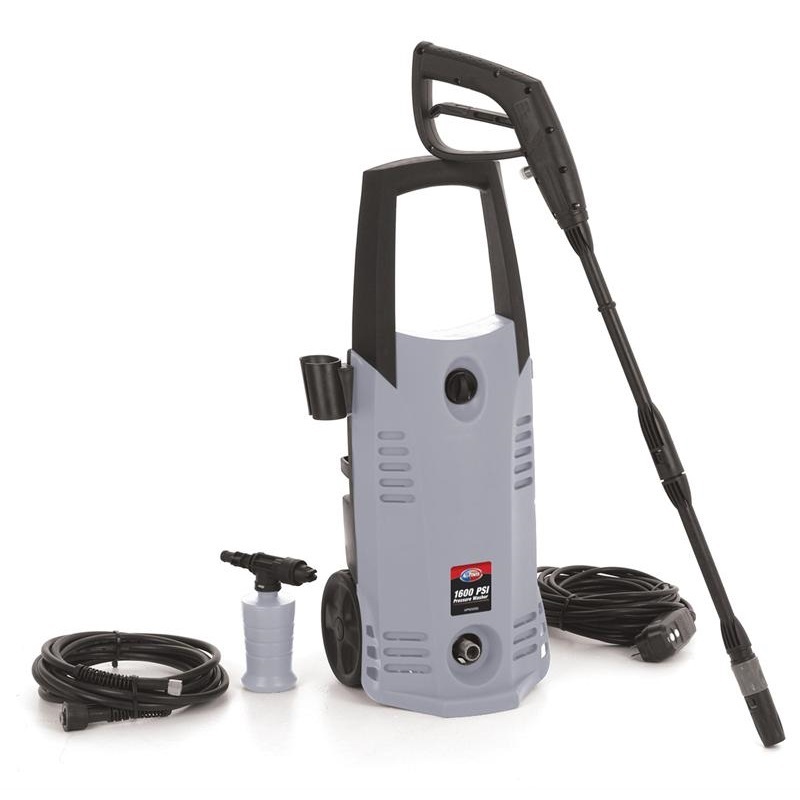 This All Power electric pressure washer provides 2000 max PSI, and 1.6 gallons per minute. It’s powered by a 13 amp electric motor, and is great for washing your vehicle, garage, and more. It has an easily adjustable spray nozzle – fine to intense and dispensed soap automatically. It also includes a 35 foot GFCI power cord, brass hose connector, and built-in hose reel.